Liguria is a suggestive land of rare beauty and in the “Riviera of Flowers” (the area of ​​Liguria that extends from Imperia to the heart of Ventimiglia on the border with France) its charm is amplified: sunsets over the sea, wide beaches sandy interspersed with long rocky stretches and an ideal climate all year round. Let’s start with the name “Riviera of Flowers”: in this area of ​​Liguria the climate remains mild all year round and, thanks to this, it is populated by a great variety of colorful and always fresh flowers that help to drive away the typical “winter grayness”. Between the nineteenth and the twentieth century many writers, poets, scientists and nobles stayed in the Western Liguria attracted by the pleasant climate and the beauty of the territory. Staying during the coldest months on the tropical side of the Italian Riviera means, in fact, forgetting the winter and relaxing in the warm sun of Liguria observing the sea, walking along the promenade and admiring the beauty of an area embellished by magnificent villas and well-kept gardens. Without forgetting the wonder that the characteristic hinterland gives, thanks to unique villages, that preserve their peculiarities intact through the years with castles, ancient bridges and historic homes. The hills go down to the sea and offer typically Mediterranean views with long rows of olive groves that produce the typical “Taggiasca olives” from which an extra virgin olive oil is produced with an unmistakable aroma and taste. Here it is a moment to forget the frenzy of chaotic city life and immerse yourself in a bucolic atmosphere with a slow pace thanks to the relaxing hilly environment and the picturesque villages perched on the heights. In the “Riviera of Flowers” the “City of Flowers” could not but rise: Sanremo, a sunny town for most of the year and colored by the bright flower varieties typical of these areas. Sanremo has two souls, both suggestive and characteristic: the ancient part, called “La Pigna”, with its medieval-style houses, its paved alleys and small historic squares; the modern part, once a fishing village overlooking the sea and today a lively tourist center enlivened by multicolored flower beds, lush gardens and tropical plants. 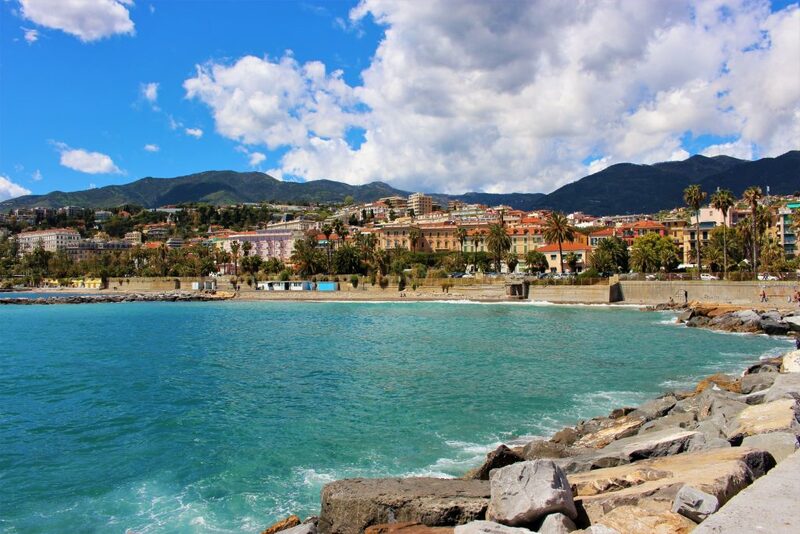 A lively and pulsating city, full of internationally famous events, Sanremo is the ideal destination to experience the liveliness and sophistication of this area of ​​Liguria. We certainly remain enchanted by the two splendid Sanremo villas: Villa Ormond and Villa Nobel. Villa Ormond is a sumptuous classical villa surrounded by a luxuriant park full of exotic plants divided into various settings with attention to detail. 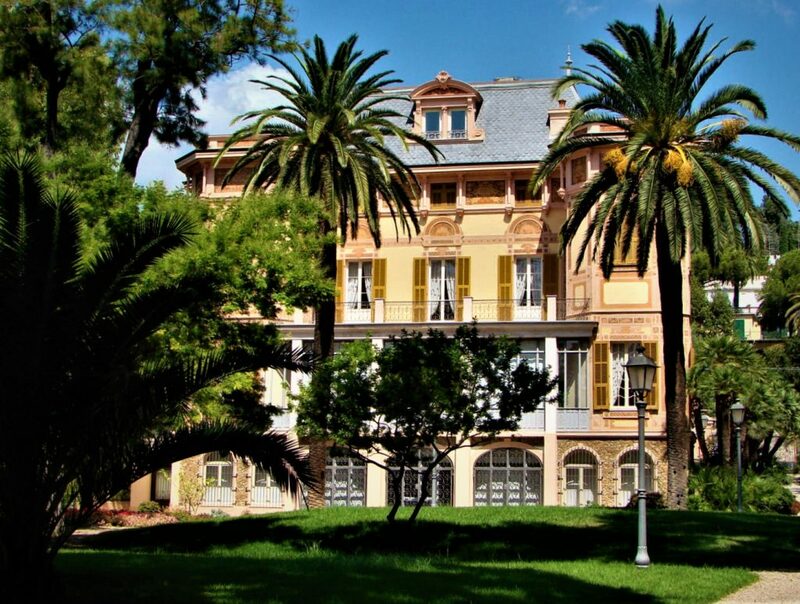 Villa Nobel, where Alfred Nobel lived, is a majestic Moorish-style building surrounded by a large park embellished with numerous species of exotic plants. To immerse yourself in the particular atmosphere of the tropical side of the Italian Riviera there is nothing better than discovering the charm of the picturesque villas and gardens that dot this area. 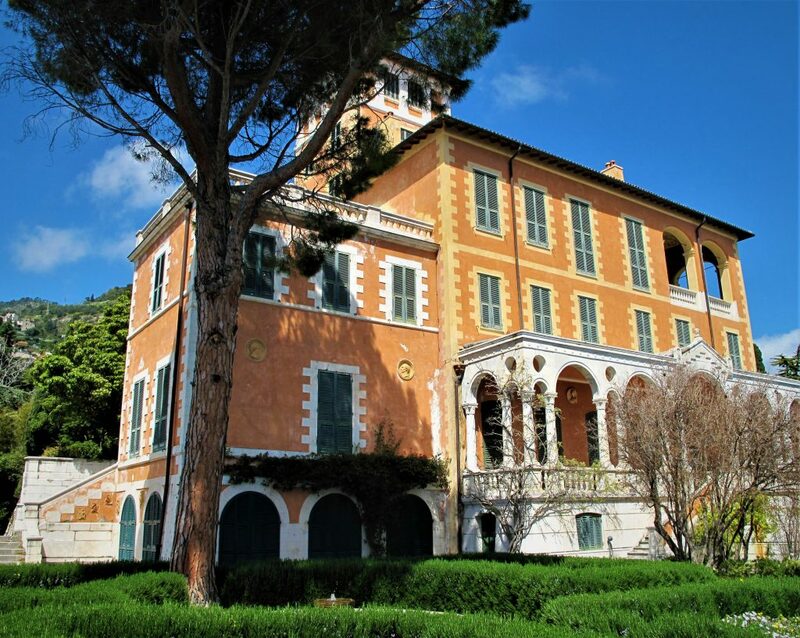 A few steps from Sanremo, in the provincial capital of Imperia, our eyes are filled with wonder before Villa Grock, built by the world-famous clown Adrian Wettach according to his original personal taste with oriental, Art Deco and historicist influences. A true masterpiece of art, a magical and mysterious place that conveys unique sensations, difficult to experience elsewhere. A bizarre building surrounded by a garden that reflects the unique style of the villa, with a pond with islet, palm trees, cedars, sculptures that recall the circus environment. 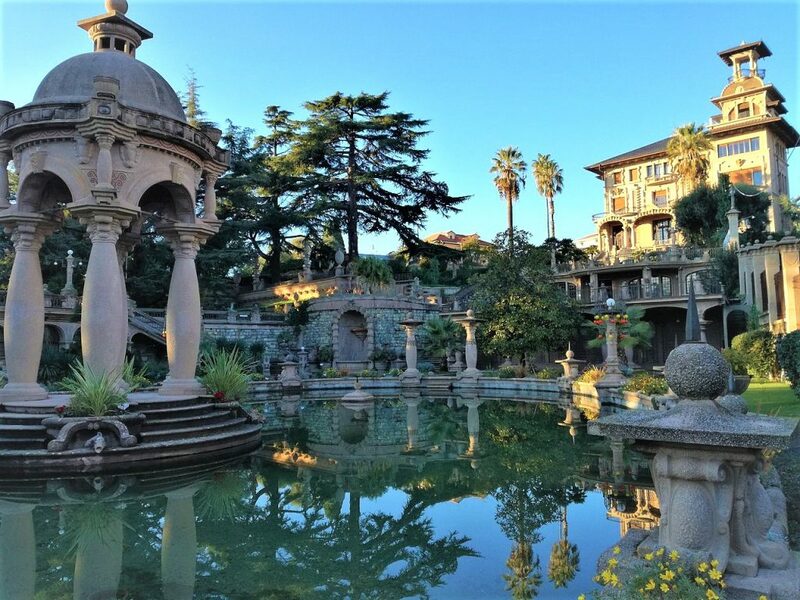 In the splendid setting of Bordighera, a spa town near the border with France, we discover the soul of this stretch of the Riviera thanks to the Pallanca Exotic Garden. The Pallanca Garden with its 10,000 square meters of surface has one of the most important collections of cactus and succulent plants in Europe. Here it is spectacular to get lost walking among the exotic plants observing the blue sea in front of us on a warm sunny day. In Ventimiglia, on the border with the French Riviera, we cannot but spend time at Villa Hambury, where the English philanthropist Thomas Hambury created a wonderful botanical garden where he collected plants of all varieties from all over the world. Today, walking in the beautiful garden of this villa is a way to get in tune with the beauty of the area, to breathe a unique atmosphere among temples and sculptures, enjoying a breathtaking view of the sea and the coast. The hinterland here is littered with small villages that have unique characteristics and different from one another. 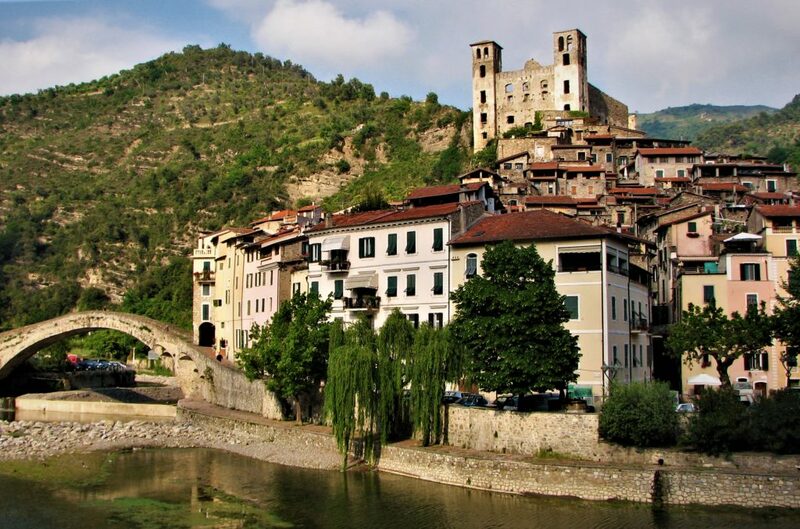 Impossible not to fall in love with Dolceacqua, a picturesque medieval village where time seems to have stopped. 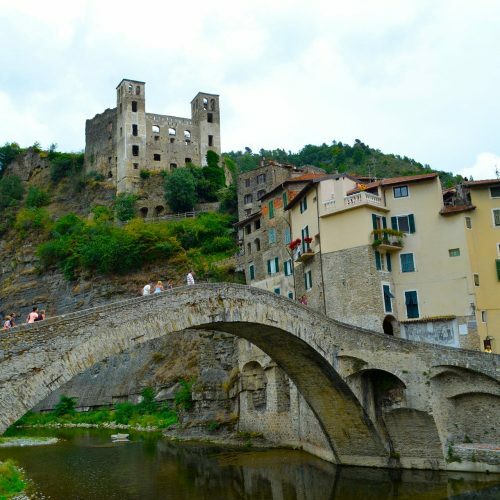 The village is overlooked by the Castello dei Doria and characterized by the original “donkey back” bridge that crosses the river. Another small jewel is Apricale, in the circuit of the Most Beautiful Villages in Italy, a medieval village immersed in the quiet hills where you can rest away from the noise and chaos. The historic center is perfectly preserved and, together with the Castello della Lucertola, transports us back in time. And then there is Pigna, a village of ancient houses clinging to the hill among chestnut and olive groves, where you can breathe a mountain atmosphere a stone’s throw from the sea and time and life move at the rhythm of the seasons. Finally we cannot forget Triora, “the town of witches”, included in the circuit of the Most Beautiful Villages of Italy. Medieval village where you can breathe a unique and mysterious atmosphere and where time seems to be stopped, a place full of charm where tradition is still alive under our eyes. 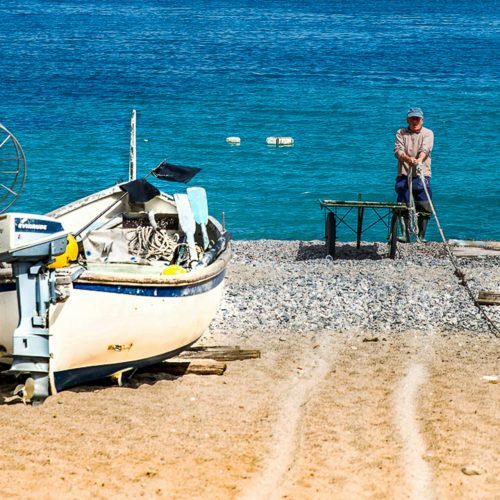 The tropical side of the Italian Riviera is really rich in suggestions from the coast to the hinterland, from the city to the small villages. Come and get lost in the sunshine, flowers, sumptuous villas, lush gardens and ancient villages. Previous PostExpect the Unexpected in Liguria!